Guillaume Bouchez recent interview in french magazine Signatures Singulières to talk about Par Excellence. What are your criteria for selecting your craftsmen? Guillaume Bouchez: our partner companies must be French and have an artisanal know-how; the definition of an EPV (Living Heritage Company) in sum. By the way most are. Eight artisans have joined Par Excellence. How much do you want to receive? Guillaume Bouchez: we have set ourselves not to exceed the threshold of 12 partners; we are currently in discussion with several craftsmen and we expect to end the year at 10, the aim being to integrate new know-how. We have been asked a lot of glass lately, and I am in contact with a company specializing in architectural embroidery whose work is incredible. French know-how is very popular abroad. What are the most requested trades by your American interior designers? Guillaume Bouchez: everyone manages to make their mark because of their unique know-how and they’re complementarity. This is the beauty of the project Par Excellence! In some agencies we find many projects on which several of our partners intervened. In your opinion, what is the hallmark of French know-how as a factor of choice for your foreign clients? Guillaume Bouchez: our crafts and our cuisine, benefits from this international aura. Here we speak very easily of know-how "à la Française" as we speak about our savoir vivre! The made in France in the craftsmanship is synonymous with quality of course, but also prestige and tradition. Is there a strong demand from your American customers for French craftsmen? Guillaume Bouchez: Made in France is on the rise, our customers love it. What they like is the tradition from the Old Continent associated with hand work. They want unique pieces and if more is done in France, then there ... As I really like to tell our customers, working with Par Excellence is like having a little piece of France in your New York penthouse ! Is your showroom also open to private individuals? 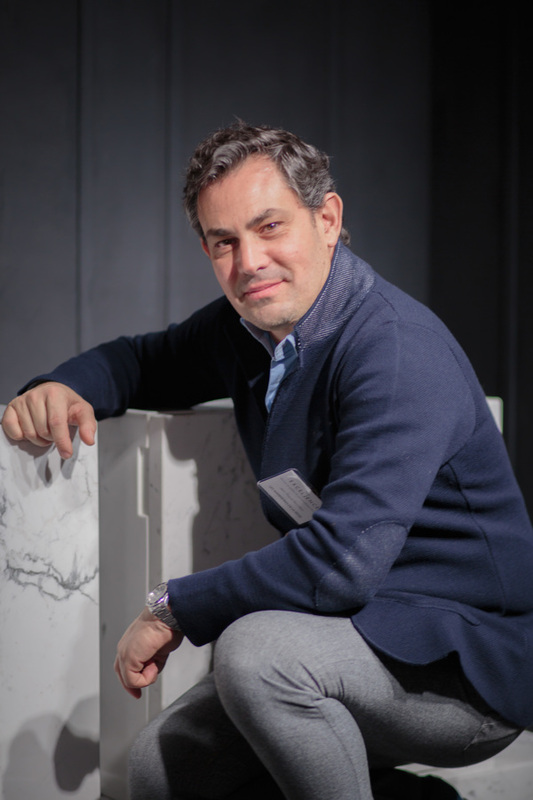 Guillaume Bouchez: Of course our doors remain open to all, but our customers are the designers and decorators, so apart from the pieces presented in the showroom we only make the tailor-made, unique piece. Do you make a positive assessment after the first 3 years of existence of this New York showroom? Guillaume Bouchez: yes! Proof of this is that we will accelerate our development: we open the capital to new shareholders. I'm part of it. We are opening a new showroom in September 2019. A great French designer will be associated with our partners. Finally we are thinking about opening offices on the west coast and in Asia where the demand for made in France is very strong. This week we would like to introduce one of our favorite women on Instagram. She is doing incredible work, which looks like it could be from another universe. We interviewed her about her life, her work and her passions. Introducing: Donna Glubo-Schwartz. With this interview we also start a new section on our news page, in which we would like to show you new and interesting accounts, pictures and impressions of Instagrams world of interior design. Come and join us to explore the variety of art and design, starting with 3 dimensional sculptured fabrics. Thank you very much Donna for doing this interview with us. We have been following you on Instagram for a while now and are always amazed by your pictures of these colorful fabric sculptures. First, I would like to know “Who is Donna Glubo-Schwartz?”. I am from New York, currently living in Fort Lee, NJ with a studio that overlooks the Hudson River. I studied fiber arts, sculpture, painting and most influentially Color Theory at the School of the Art Institute of Chicago, Illinois. One semester, I took a class in Shibori, a Japanese resist dye technique and I experimented with the general intention of the processes and adapted it to gain a more dimensional result. My study of color has also informed my work. Oh nice! That sounds fun! So, how did you became a designer? How did the idea of doing the pieces, on your instagram referenced as “3 dimensional sculptural fabrics”, how did that start? Since graduating, I formed my own fabric company Spatial Element. I developed the concept of having my pleated fabric laminated in glass. The technology was not available when I first developed the idea, so I had it cast in clear resin. It was juried into Material Connexion, a materials resource library, as a new material. A new glass company, Livinglass, Inc. developed the process of laminating dimensional materials in glass, and found my work through Material Connexion. Since then we have been working together (starting 2004) and have completed many projects both domestically and internationally. Amazing! And how do you install your sculptures, because it should be used as decoration in rooms right? Yes, exactly. For example my newest work, Twisted Objects, are made with the intention of mounting them on a wall, either attached to a canvas or directly to the wall. I envision grouping multiple pieces for a full installation in a grid pattern or if directly hung, in different forms and shapes. Okay, and are those sculptures the only thing you are working on at the moment? Or is there something else? What would you say is your main focus? My focus is with the 3 dimensional fabrics, either with the Twisted Object series or with Livinglass, Inc. for laminated glass for my Kimono and Halo series of glass. The laminated glass has been used in multiple projects installed anywhere from Hotels, Airports, Casinos, Health Care, Residential, Restaurants, and Corporate venues . And do other designers do the same? Do you know anyone working in this way? Not exactly. Although there are other fiber artist that use more traditional shibori techniques, I do have my own unique interpretation. Okay, nice. Now we have already talked a bit about your pieces. Can you tell me something about how you are making them? On your Instagram, you explain that everything is handmade and one of a kind. It must be very special to craft such pieces. My technique includes multiple degrees of folding and crimping the fabric. It can involve one or two color combinations to complete the second part of the process. When completed, I manipulate the fabric to create its form, then sewing it in place. I came to this process through years of experimentation, research and development. It can take anywhere from two days to a week or more to complete a piece or series of pieces. Wow, a week is quite a long time! How does it work if someone would like to order your work? How do you ship and manage the whole process? I would work directly with designers to determine color and size and overall desired result. Although I plan on offering specific sizes: 20” by 20” and 12” by 12”, I can do custom work in color and size. You can order directly through my site. Designers can direct message me for custom work. Each piece will be specially packed for shipping through FedEX. Alright, my last question is, which projects have you worked on so far, or further more what clients have you worked with? Also, which rooms do you think are best homes for your bespoke creations? I have worked most successfully with the Interior Design industry. Hospitality projects are the most receptive to color and experimentation. I can see the Twisted Objects, which can be made in any size, as feature walls for hotel lobbies, reception area, restaurants, airport lounges, etc. I have completed projects for Delta Airlines including LAX, San Francisco, Seattle, and Atlanta. Other projects in Las Vegas include McCarran International Airport, Aria City Center Las Vegas, Red Rock Resort and Casino, Mirage Hotel and more. In New York, for example, you can see my work at the Shoreham Hotel on West 55th. Oh nice! I think I am gonna check this out then! Very cool. Well, that’s all for now! Thank you very much Donna, for answering all my questions. You are very welcome! Thank you very much for having me for this interview! 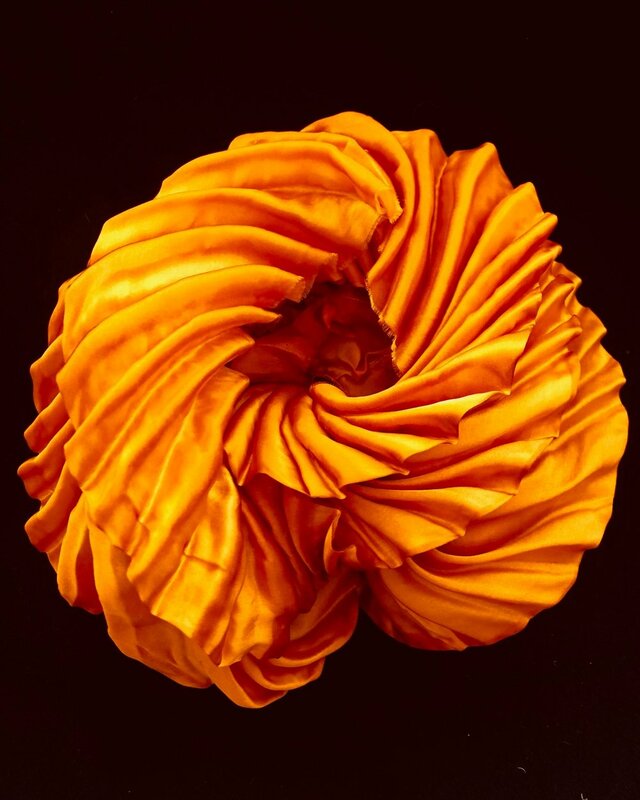 If you are interested in Donna´s pieces, check them out at her Instagram page here or you can also contact her via email or phone, to order your very own special 3D sculptured fabric. 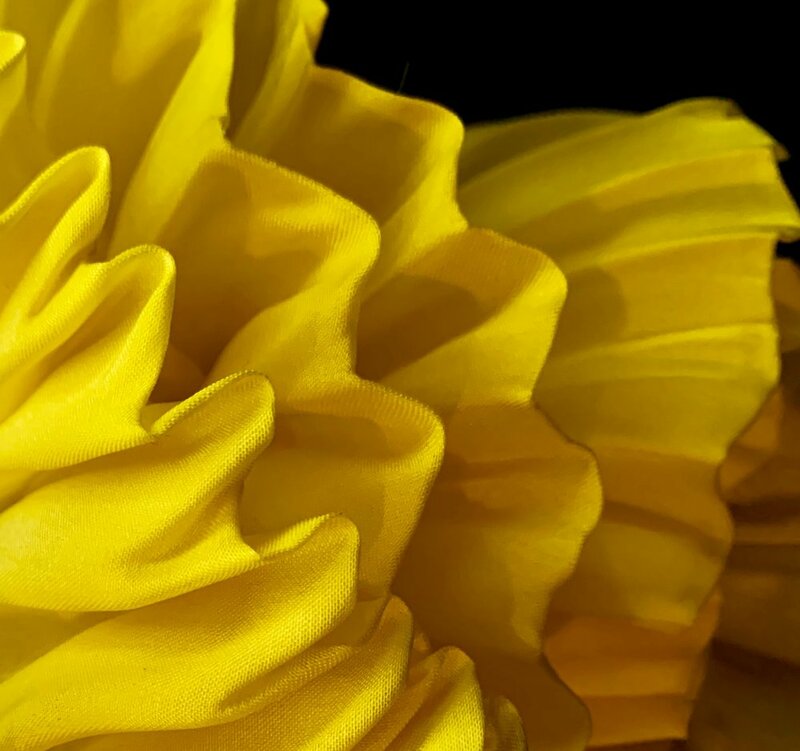 According to Erin Gates Design, the traditionell beauty of floral pattterns will bloom in the year 2019, wether its straight up chintz or abstracted. Jeff Andrews Design tells us, that cooler. gray tone neutrals are not gonna be his favorites this year. He prefers warmer and brighter neutrals in 2019. Pieces made out of rice paper, jute or clay will be the future regarding the year 2019. Being more in touch with mother earth and nature is goign to be a big thing according to K Interiors. Rooms with no color or texture will be present in 2019 according to Dekar Design. 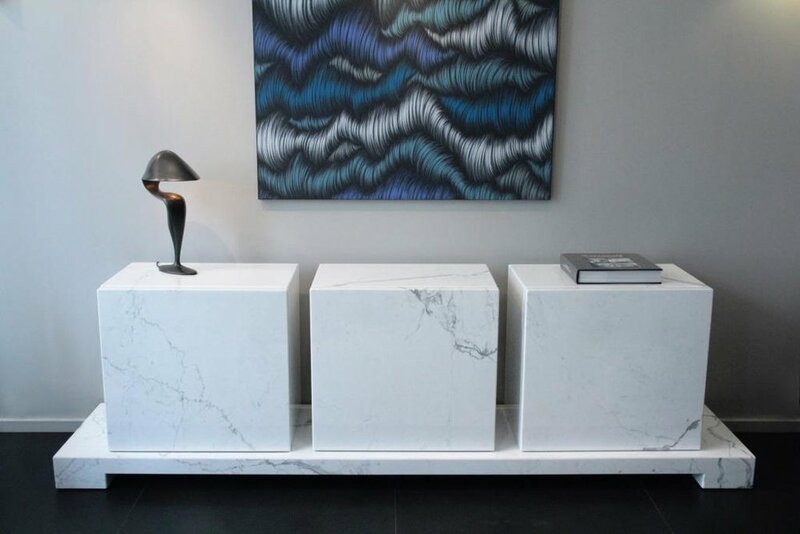 According to J Randall Powers Interiors overlay polished pieces can become trite very quickly, and for that reason they wont be part of 2019. 2019 is going to be the year of more natural looking metals. Do not skimping on comfort when it comes to buying new furniture in 2019. As J Randall Powers Interiors always says: buy once, cry once. 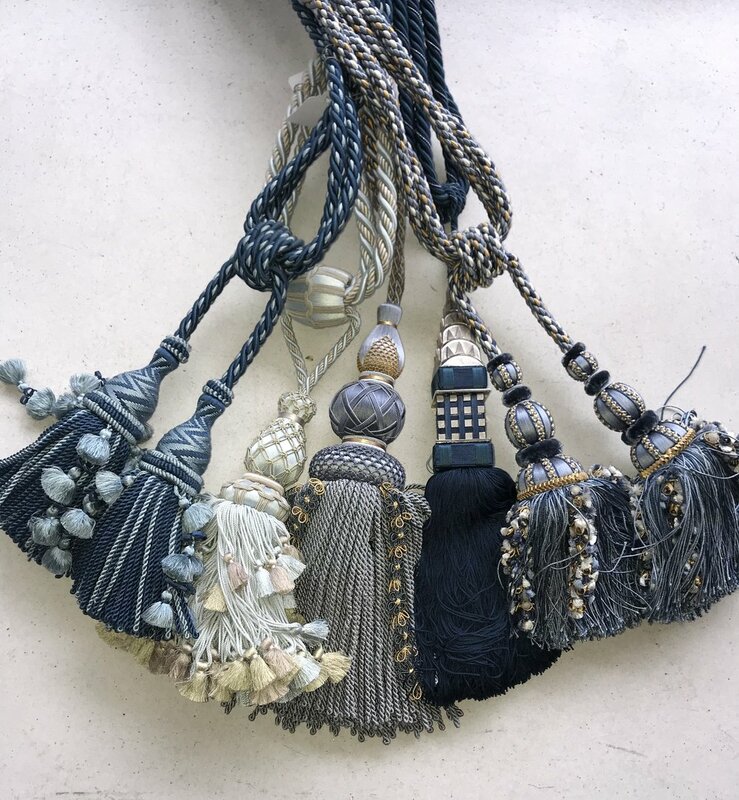 Paints, fabrics and accessoires in these colors going to be a trend in 2019 by creating a drama against backdrop of white architectual elements, according to Jeff Andrews Design. An alloy consisting essentially of copper and zinc in variable proportions. Prized for its high workability and durability, along with its bright golden color, brass has been used since around the 1st century BCE for various items of societal and decorative value including Roman coinage, West African casts and European religious vessels. 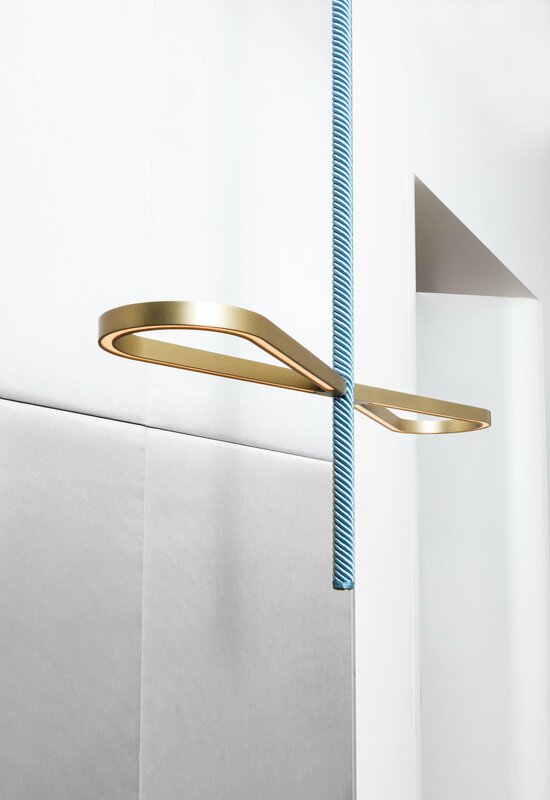 Meljac continues this tradition of craftsmanship and beauty in brass through its use as the base material for many of the products in our collection of exquisite electrical hardware. “Brass Forever” was the event in honor of the launch of our new partner Meljac North America on Tuesday October 31st in our showroom in Chelsea. We are happy having you on board! In a plastic world, brass forever. Five artisans d’art, all Living Heritage Companies (Entreprise du Patrimoine Vivant), have been selected for the 2018 Monaco Yacht Show, taking place in September, from 26th to 29th. Marbrerie Fochesato, Jouffre, Ludwig & Dominique, Manufacture de Tapis de Bourgogne and Atelier Bernard Pictet presented their breathtaking creations in a 35 square-meter space designed by François Zuretti. We are proud to call two of them as partners of Par Excellence: Jouffre and the Manufacture de Tapis de Bourgogne. François Zuretti used glass by Bernard Pictet, furniture by Ludwig & Dominique, rugs by Manufacture de Tapis de Bourgogne, marble by Patrice Fochesato and upholstery by Jouffre as a superb living area for a luxury yacht. This event brought together the quintessence of craftsmanship and artistry. Each year, French Architectural Digest magazine organizes “AD Intérieurs” exhibition in Paris, France. This displays of the salon are done by by famous interior designers and young talents in the parisian heritage monument. With the theme “Rough and Precious”, the exhibition’s 9th edition invites visitors to visit the Hotel de la Bûcherie from September 5th to 23rd and discover the interiors imagined by the 15 interior designers who were selected by the AD magazine editorial board. On the second floor of this parisian historical monument, Hotel de la Bûcherie Mathieu Lehanneur collaborated and invited Par Excellence partners to conceive an immaculate meditation room. For the very first time the French designer entrusted all our partners to fabricate a collection of furniture, which will be soon seen in New York. 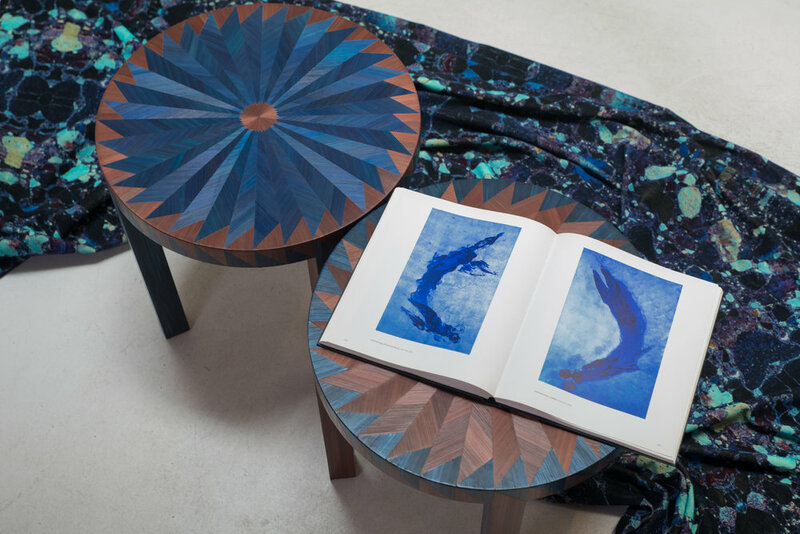 Par Excellence and partners were delighted to announce their spring event called "Lay in blue" on May 22nd from 6pm to 8pm in our showroom in Chelsea. The evening featured cocktails by Pernod Ricard and there was the possibility to schedule an appointment with our partners for further questions or more information. As you can guess by the name, the theme for this event was “everything in blue”. The result was a mix of our partners' pieces, presented in our diverse showroom. In addition, our partners gave a design talk at ICFF on May 21st and 22nd from 12pm to 1pm at Jacob K. Javits Convention Center. The 30th annual ICFF is a platform for global design that maps the newest frontier of what’s best and what’s next. There were more than 36.000 interior designers, architects, retailers, representatives, distributors, facility managers, developers, manufacturers, store designers, and visual merchandisers. Our partners talked about what is so special about French design and from fashion to design & is there a French touch? Our present partners there were Jouffre, La Manufacture de Tapis de Bourgogne and Declercq Passementiers. 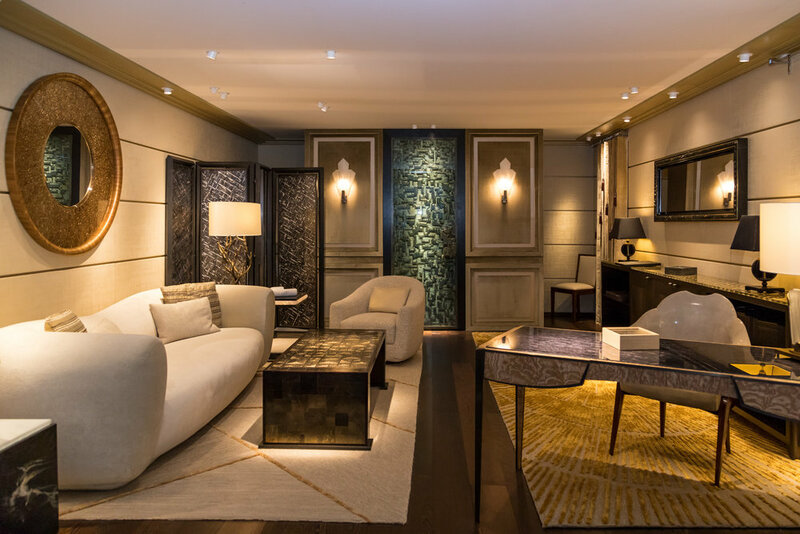 Each spring, well-known interior designers transform a luxury Manhattan apartment on Upper East Side into an exhibition that’s called Kips Bay Decorator Show House. This project began back in 1973 when the Kips Bay Boys & Girls Club launched it as a fundraiser for New York City children. This year’s show takes place at 110 East 76th Street, in a seven-level townhouse. The most outstanding features of this estate are its spiral staircase, lots of windows and high ceilings. The project is a high-profile showcase with both young and experienced designers and some of the field’s top brands. More than 20 interior designers put their stamp on the mansion’s rooms that go from classic to colorfully modern. One of the rooms shows a magnificent salon and bar in a yellow hue. Caleb Anderson and Jamie Drake designed this space with the goal of creating a grand but also intimate living room. It is a combination of modernism and classicism. The salon has deep gold upholstered walls by none other than Jouffre, our Partner in upholstery, window treatment and stretched wall fabrics, with hand-sewn beads by Ankasa. Jouffre also did this wonderful sofa which seems flawless due to its rounded and smooth shape. During the whole month of May 2018, the house is open to visitors, with all proceeds benefiting the Kips Bay Boys & Girls Club. Don’t miss your chance! On April 20th, Par Excellence hosted the opening of the event "Stereotomy 2.0". The exhibition was in collaboration with NYIT School of Architecture and Design and showed prototypes of stone architecture from ancient stereotomic construction systems to the most modern stone experiments for architecture and interior design. From April 20th to April 29th, Par Excellence exhibited a proposal for constant stress arches constructed from voussoirs (building blocks) that were 3D printed using binder jetting technology. The exhibition was co-edited by Giuseppe Fallacara, associate professor at the Polytechnic of Bari and visiting professor at NYIT, and boasted an amazing line-up, including entries from ZHA Code, p.ART and AKT II, the Block Research Group etc. One of the most outstanding pieces was the Lapella stone lounge chair from Zaha Hadid Architects, ZHA Code, AKT II, New Fundamentals Research Group and Generelli SA. The chair is made out of unique Palissandro Classico marble and carbon fiber, and is a reinterpretation of the iconic 1963 design by Hans J. Wegner. On February 6th, Par Excellence organized the event "In stone we trust" to introduce a new partner les Marbreries de la Seine, who joined our team, and the appointment of the new Executive Director, Frédérique Mortier d'Aumont. Les Marbreries de la Seine is specialized in mineral materials. They collaborate with the greatest interior designers, decorators and architects in the world. They are experts in mineral engineering and respond to the most demanding requests thanks to an exceptional know-how and an unparalleled range of materials with more than 600 references exposed in their 750m² showroom. The company has been specialized in stone and marble for three generations and is a family business. The new Executive Director, Frédérique Mortier d'Aumont, is a French interior architect and designer based in New York City. Her passion for architecture, people and contemporary art led her to an array of invaluable opportunities in France and in the United States. She will bring the same eye to Par Excellence in order to match the clients' needs. She believes simplicity, balance and attention to detail within her work are fundamental to the success of timelessness and uniqueness design.